I may have squeeled a bit when I saw this month's Pinspire Me board. 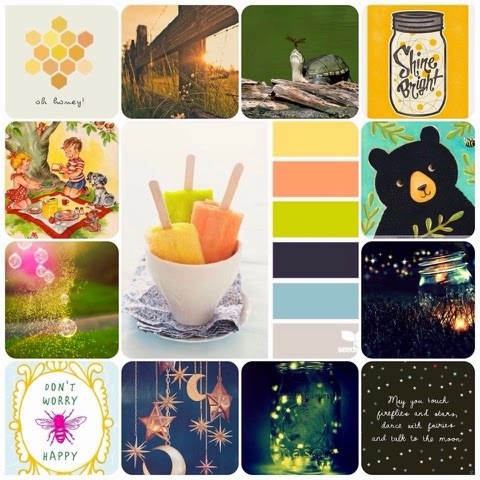 I loved all the stars and the summery vibe. I knew I would make a layout about taking andy to the drive in last summer and how it didn't go exaxtly as planned, but is a memory we treasure anyway. I actually had this layout almost completely done, but wasn't happy with it at all. 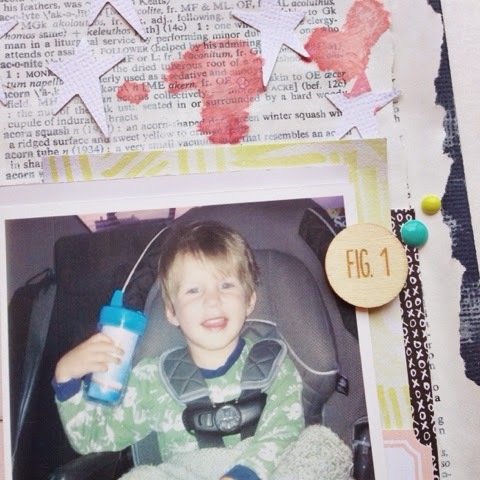 I then had the idea to layer dictionary pages over my cardstock and painting some gesso over it. I am much happier with how it turned out. 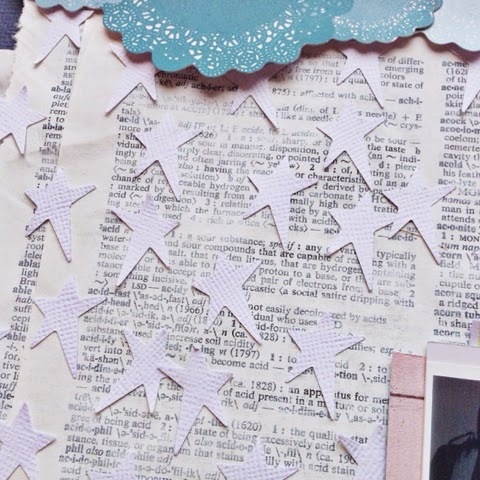 I punched out a bunch of stars from white card stock and scattered them over the page. I finally used those blue doily die cuts from Crate Paper's The Pier line. I loved them, but could never find the right thing for them. I love how they look at the top of the page. 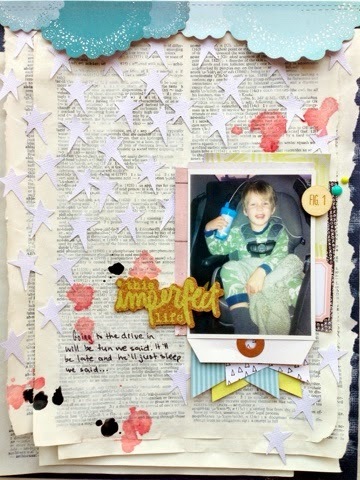 The title is from We R Memory Keepers Love Notes line and was perfect for this memory. 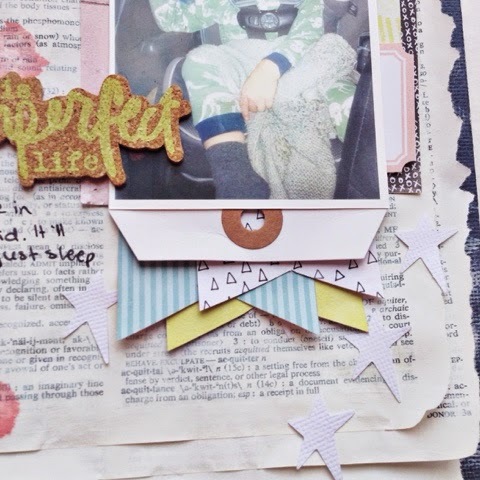 I layered some papers from Love Notes under my photo and added a few embellishments from My Mind's Eye and Evalicious. I kept feeling like my page wasn't finished. I added a few large banner type pieces under the tag the photo was mountrd on and it finally felt finished. 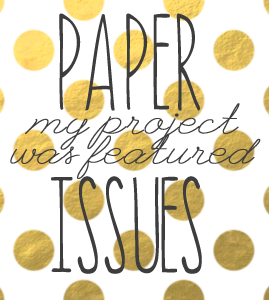 Check out the Paper Issues blog to see the amazing layouts made by the design team. 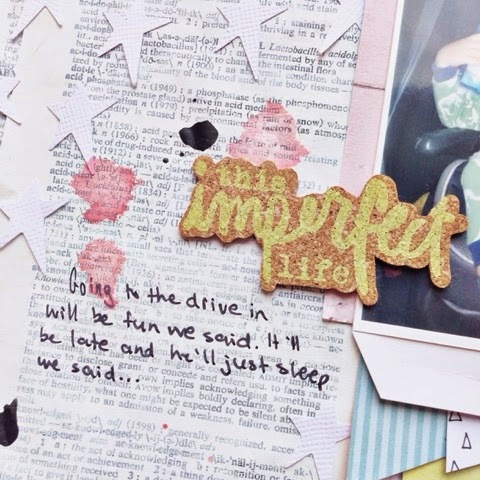 You have until June 14th to link up your own project for the chance to win one of two Pinspire Me grab bags.